RESPEC Engineering needed to focus on what they do best - engineering! Yet, their brand needed brought into the 21st Century. Many of their reports, business cards, and folders didn't have any markings that showed the firm's name or reputation. We presented 4 brand ideas and ultimately walked RESPEC through brand guidelines and adoption of their chosen look. Because of their quick growth and wide-spread reach, RESPEC had a lot of "chefs in the kitchen." Some of the decision-makers were invested for many years in the reputation and brand of the company. Others were new, looking to add fresh perspective and a future-focus. 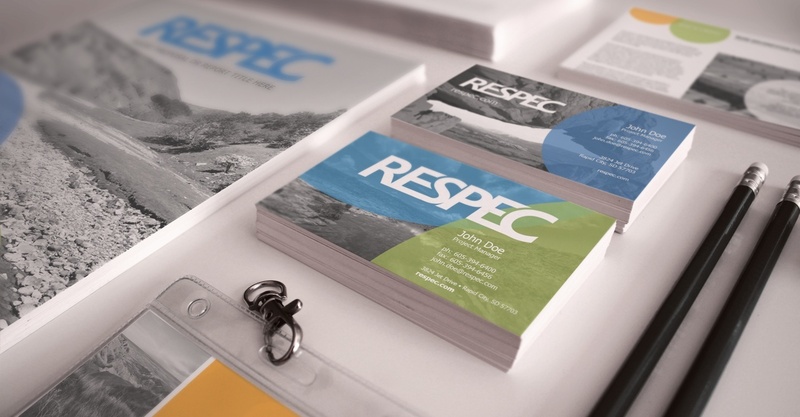 Our goal was to reach both - and to communicate the strengths of the RESPEC brand to the many industries they serve. We created usable, editable templates for a document repository for employee use. This way, every piece that comes from a RESPEC employee carries the same standards, brand and consistency that exemplifies the many ways RESPEC excels.